There is no evidence to initiate criminal prosecution against former Ghana football boss, Kwesi Nyantakyi, the country’s Attorney General (AG) and Minister for Justice, Gloria Akuffo has revealed. Calls for the prosecution of the former FIFA Council member has heightened in the West African country after he was shown in a documentary allegedly taking kickbacks. The image of Nyantakyi has been battered after an investigative piece by controversial Ghanaian journalist, Anas Aremeyaw Anas revealed widespread corruption in the game. The former Ghana football leader is under criminal investigations in the powerful African nation but it has emerged prosecutors are struggling to build a case which critics say exposes the ugly reality of the local game. And the country’s legal adviser to the ruling government, Gloria Akuffo has revealed there is no evidence to prosecute the embattled former FA top official. “You need evidence to proceed to court and at the moment, I have not received anything from the investigators,” she insisted. The Ghanaian has been forced to resign from his roles at CAF and FIFA following the scandalous exposé as he fights to redeem an image which has been bruised beyond measure. 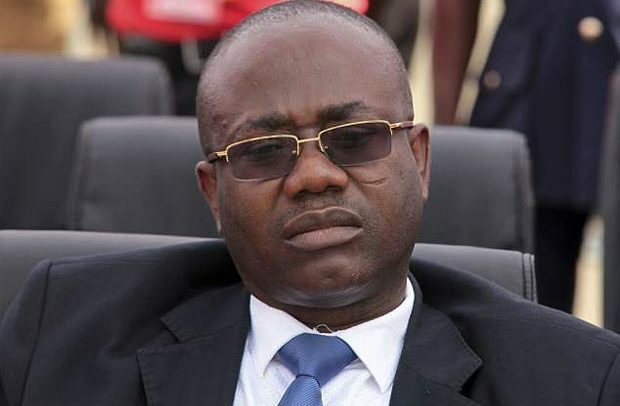 Nyantakyi, who has been GFA president since 2005 and was elected to the FIFA Council in September 2016, was filmed in a hotel room appearing to take a $65,000 bribe from a supposed businessman seeking to sponsor the Ghanaian football league. The Anas exposé has brought football on its knees after government backtracked on attempts to dissolve the Ghana Football Association. FIFA has announced it will form a Normalisation Committee to oversee the running of football for the next six months.